Draft: 2009, Houston Astros, 13th rd. February 26, 2017 LF Jake Goebbert assigned to Arizona Diamondbacks. December 26, 2016 OF Jake Goebbert assigned to Leones del Escogido from Toros del Este. December 5, 2016 OF Jake Goebbert assigned to Toros del Este. October 3, 2016 LF Jake Goebbert elected free agency. 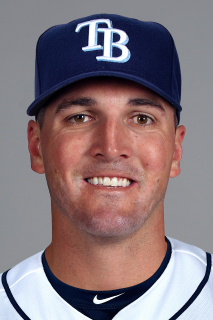 May 27, 2016 Tampa Bay Rays sent LF Jake Goebbert outright to Durham Bulls. May 25, 2016 Tampa Bay Rays designated 1B Jake Goebbert for assignment. May 25, 2016 Durham Bulls activated 1B Jake Goebbert from the 7-day disabled list. May 11, 2016 Durham Bulls placed 1B Jake Goebbert on the 7-day disabled list. April 6, 2016 Tampa Bay Rays claimed 1B Jake Goebbert off waivers from Pittsburgh Pirates. April 6, 2016 Tampa Bay Rays optioned 1B Jake Goebbert to Durham Bulls. April 3, 2016 Pittsburgh Pirates designated 1B Jake Goebbert for assignment. March 29, 2016 Pittsburgh Pirates optioned 1B Jake Goebbert to Indianapolis Indians. November 25, 2015 Pittsburgh Pirates signed free agent Jake Goebbert. November 6, 2015 LF Jake Goebbert elected free agency. January 26, 2015 San Diego Padres invited non-roster LF Jake Goebbert to spring training. January 14, 2015 San Diego Padres sent LF Jake Goebbert outright to El Paso Chihuahuas. January 7, 2015 San Diego Padres designated Jake Goebbert for assignment. August 12, 2014 San Diego Padres recalled LF Jake Goebbert from El Paso Chihuahuas. July 26, 2014 San Diego Padres optioned LF Jake Goebbert to El Paso Chihuahuas. June 19, 2014 San Diego Padres selected the contract of Jake Goebbert from El Paso Chihuahuas. May 15, 2014 San Diego Padres traded 1B Kyle Blanks to Oakland Athletics for LF Jake Goebbert and Player To Be Named Later. May 15, 2014 LF Jake Goebbert assigned to El Paso Chihuahuas. February 26, 2014 Jake Goebbert assigned to Oakland Athletics. August 3, 2013 OF Jake Goebbert assigned to Sacramento River Cats from Midland RockHounds. April 6, 2013 Jake Goebbert assigned to Midland RockHounds. April 4, 2013 Oakland Athletics traded LHP Travis Blackley to Houston Astros for RF Jake Goebbert. April 1, 2013 RF Jake Goebbert assigned to Oklahoma City RedHawks from Corpus Christi Hooks. January 17, 2013 Jake Goebbert assigned to Houston Astros. October 27, 2012 RF Jake Goebbert assigned to Caribes de Anzoategui. July 1, 2012 Jake Goebbert assigned to Corpus Christi Hooks from Oklahoma City RedHawks. June 9, 2012 Jake Goebbert assigned to Oklahoma City RedHawks from Corpus Christi Hooks. April 6, 2012 Jake Goebbert assigned to Corpus Christi Hooks from Oklahoma City RedHawks. February 6, 2012 Houston Astros invited non-roster LF Jake Goebbert to spring training. August 2, 2011 Jake Goebbert assigned to Oklahoma City RedHawks from Corpus Christi Hooks. May 6, 2011 Jake Goebbert assigned to Corpus Christi Hooks from Lancaster JetHawks. April 4, 2011 Jake Goebbert assigned to Lancaster JetHawks from Lexington Legends. March 20, 2011 OF Jake Goebbert assigned to Houston Astros. April 6, 2010 Jake Goebbert assigned to Lexington Legends from Tri-City ValleyCats. June 19, 2009 Jake Goebbert assigned to Tri-City ValleyCats from Houston Astros. June 18, 2009 Jake Goebbert assigned to Tri-City ValleyCats from Houston Astros. June 15, 2009 Houston Astros signed Jake Goebbert.